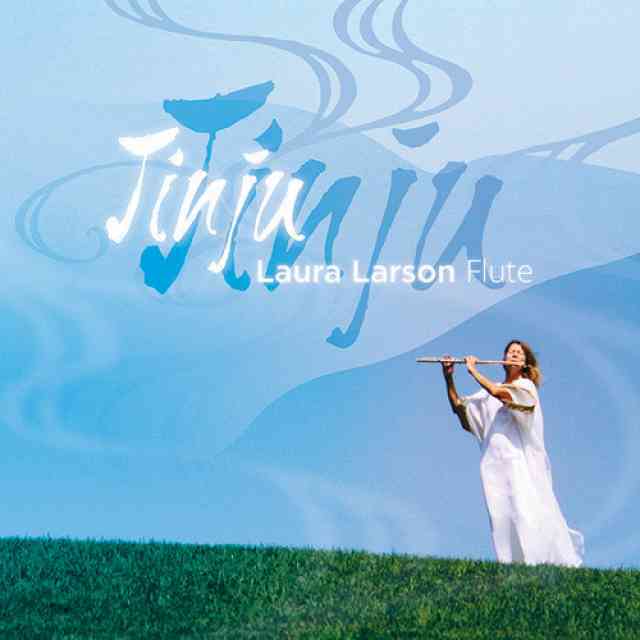 Jinju, a classical music CD featuring flutist Laura Larson, presents a delicate interweaving of culture and time through music. The diversity across this album points to the broad influences and work of Larson’s own life as a Suzuki teacher and active performing artist. 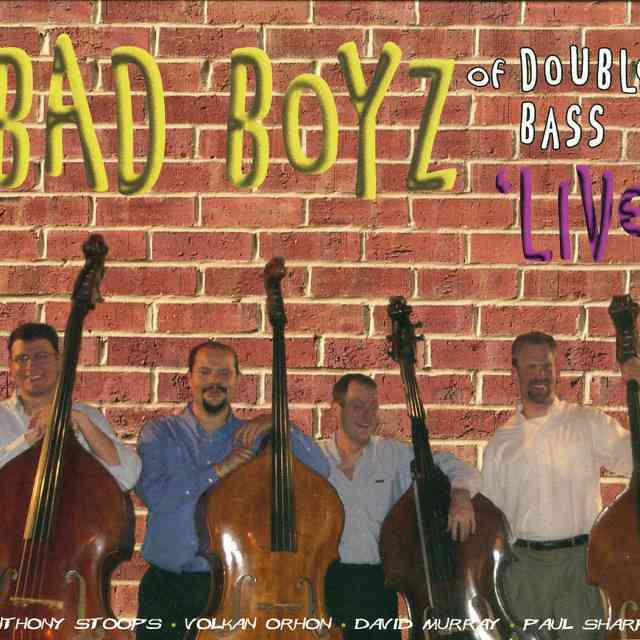 Consisting of sixteen tracks, pieces span from reflections of rich Japanese culture, diverse western classical works, and jazz-influenced pieces. Similarly, recording dates range over a period of several decades, reflecting Larson’s own variation throughout her musical career. Additionally, collaborations with a variety of other artists add to the musical breadth of the CD. The album title is taken from the work “Jinju,” written by Ichiro Higo, which is featured as a world-premiere recording on the CD. Commissioned during Larson’s study at the Talent Education Research Institute in Japan, “Jinju” is a depiction of incantation and spiritual connection evoked by the flute and is based on an ancient Japanese belief that instruments were used for invocation rather than for pure enjoyment. It begins hauntingly through Larson’s hollow and distant sound. In chant-like repetition, musical ideas are expanded through register, dynamic, and extended techniques, mounting in tension, energy, and brilliance. Larson’s sound builds in intensity through relentless dynamic and piercing register before abruptly dropping register and dynamic, creating an eerily quiet and unsettled feeling. Through flutter-tonguing and timbral trills, Larson portrays an almost ghostly sound quality before the music slips into silence. Larson’s control across wide dynamic range and extended technique brings this piece to life and convincingly expresses its ancient story. “Autumn Fantasy” stood out as the most vibrant performance on the CD. Recorded with harpist Kerstin Allvin, this work by Minoru Miki reflects an almost impressionistic merging of ancient and modern instrumental sounds. The rich colors and textures provided by both instruments create a truly “fantastical” and brilliant interweaving of sound. Although the piece was originally written for the traditional Japanese koto and shakuhachi, the flute and harp beautifully transition between classical and traditional Japanese timbres. Allvin’s robust sound convincingly imitates the recognizable plucking of the Japanese koto, while Larson’s use of extended techniques emulates the flexible sound of the shakuhachi. The energy and collaboration between these two artists makes this work the most notable across the album. The portions of C.P.E Bach and Gaetano Donizetti included on the CD are charming, although each includes select movements rather than complete works. The Contemporary Baroque Trio, true to their name, performs this music with a contemporary perspective and on modern instruments. This interpretation makes the music pleasant and familiar yet occasionally uncharacteristically lush and heavy in comparison to other recordings within this genre. However, Larson’s languid, warm sound is particularly compelling across the more jazzy tracks, such as “you turn” by James Hartway, and the classical work by Jacques de la Presle, “Orientale.” Throughout the album, intentionality within each note, technical facility, and control of sound stand out within Larson’s playing and musical interpretations. 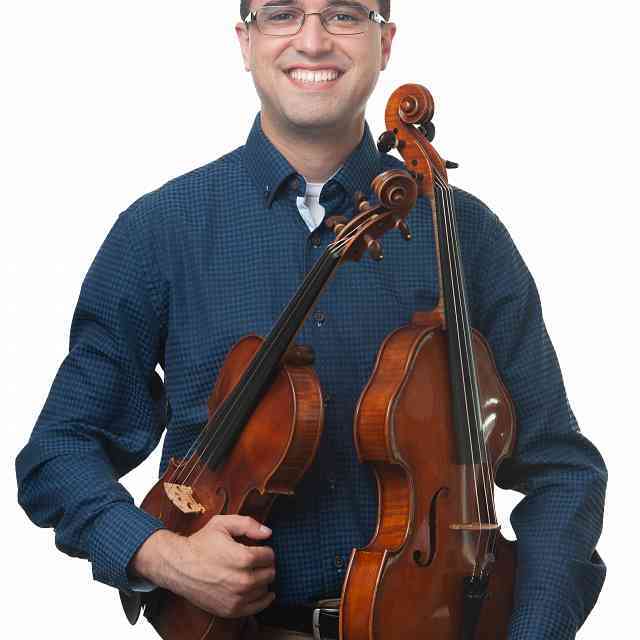 The diversity of the works presented on the CD not only engages the listener but also provides a glimpse of Larson’s expansive and rich musical background. By echoing the influences of Japanese and Western classical music through her studies in Japan and across the United States, this CD is a unique addition to the current flute recordings. Previously printed in American Suzuki Journal 41.3. Reprinted with permission. 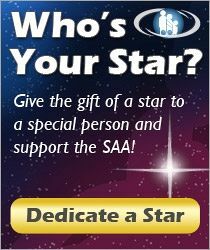 Copyright © 2013 Suzuki Association of the Americas, Inc.
13 hours ago Is teacher limiting repertoire and growth?